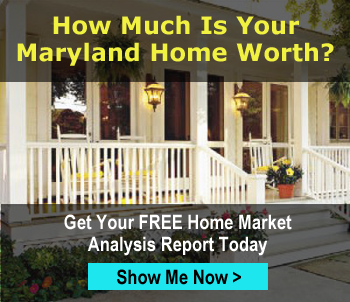 Pricing your home to sell in Maryland. As you know, over the last several years the market has been a bit unpredictable. But, even with it's unpredictability there are some things that are in your control when it comes to selling your home in Maryland in a timely fashion and for the price you expect. It's obvious that you can't control the location of your home but what you can control is the price, condition and the marketing of your home. Of course, when you hire The Craig Brown Group we guide you on how to price your home to sell, we give you tips on making your house attractive to buyers and more importantly we market the heck out of it so that you get the ultimate exposure. Making sure you home is priced right is one of the most important things we do. We don't just pull a number out of our heads there are many variables that go into pricing home. Especially in this competitive Maryland Real Estate Market. Is your home updated? If not, we will give you advice on the most cost-effective updates you can make that won't break the bank. Does your home have curb appeal? First impressions do matter when it comes to buying a home. So make sure your lawn is cut, the bushes are trimmed and the outside looks as neat as the inside. Even a simple power-washing of the exterior of your house or drive-way can give new life to the look of your home. Does everything work in your home? If one or two things are not working in your home, the buyer may think; well if those two things are broken, could there be other things that I am not seeing that are broken, too? Don't give a buyer any reason to doubt the overall condition of your home. What's unique about your house? Do you have a really cool workshop attached to your home? Do you have a custom backsplash in your kitchen or unique tile in your bathroom? When we price a home we look for those unique characteristics that will help your home stand out. Overall, does your home show well? Think about it from a buyer's perspective. Would you want to walk into a bright, clean and uncluttered home or a dark, dimly lit home with lots of "stuff" everywhere? Most people can't get beyond the "stuff" to see the great potential of a home. Again, don't give them any reason to discount your home. What has sold recently? When pricing your home to sell we always look at comparables or "comps" as many people call them. We look at what has sold in the last couple of months, how they compare to your home and how much they sold for. The comps we work against are those that are most similar to your home. We would not consider a comp to be a home that is worth $800,000 as compared to your house that may be in the $500,000's. How many days did it take to sell? Days on market is an indicator of two things - the market and how well the home was priced. Was it priced to match the market or was it over-priced. In almost every case, if a home is priced right, it will sell in a reasonable amount of time. Of course, there are no guarantees but in general this is the case. What seller subsidies were given? Often times, a seller will give the buyer additional incentives to buy their home. An example would be; closing costs. When setting the price for your home - we look at the comps and consider any subsidies others may have provided their buyers. Do you have competition? Do you have five other homes on your street that are for sale that are similar to yours, or are you the only one in the area selling in your price range? The level of competition definitely influences pricing. So, as you can see, there is a lot that goes into pricing your home to sell. 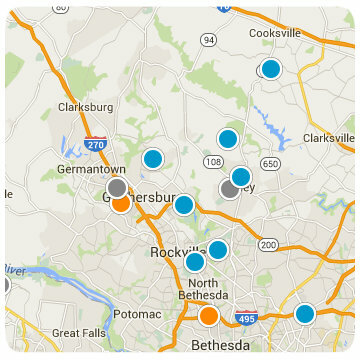 With the help of The Craig Brown Group and our years of experience selling homes in Maryland and specifically; montgomery county, carroll county, frederick county, howard county and washington county. We know the Maryland real estate market really well and we pride ourselves on knowing exactly what to do to help you get your home sold for a fair price.